If you want to start sprucing up the look of your home, there are some great ways that you can add curb appeal on a budget. You really don’t have to spend a lot of money to add some instant updates to the exterior of your home. Use these fun curb appeal hacks to give yourself some inspiration that won’t break the bank. I really started looking into different ways I could add curb appeal on a budget since we are thinking about selling our home in the next year or so. I wanted to start making some updates now so that I could actually enjoy the fruits of my labor and make it so that most of the work is already done by the time we want to put our house on the market. We have a small budget for updates and repairs so I needed to get creative. I wanted curb appeal ideas that would give me the most bang for my buck. There are some really easy DIY ideas to improve your house exterior to create some gorgeous curb appeal on a dime. I like doing things myself to save money when I can, but you could also hire people to make these updates for you if you are short on time. Pressure Wash: Probably the easiest thing you can do to dramatically give your home a clean and new look. Pressure wash the siding, patios, porches, etc. If you want to hire a professional to do this for you, I highly recommend checking the local deals on Groupon first. You can save over 50% off this service. Just make sure you read reviews on the company before purchasing. Paint Shutters and Trim: A nice coat of paint can give your home a fresh look. If you can’t afford to paint the whole house, just focus on the shutters and the trim. These are the areas that get weathered the most. Update your Front Door: You may have a brand new front door in your budget or you can simply paint the one you already have. Bright colors are really trending right now. It gives you home a nice pop of color without going overboard. Spray paint your Door’s Hardware: When you can’t afford brand new hardware, simply spray paint what you do have. This helps give older doors a brand new and updated look. Bronze and copper colors tend to look more modern. New Mailbox: There are so many styles of mailboxes available now. You can easily find one within your budget. To give it an even prettier look, plant some flowers around the bottom of the post. You may not have a lot of money to spend creating a Martha Stewart looking garden, but there are a few landscaping hacks you can do even on a small budget. Get rid of Weeds: It may take some time, but you need to get rid of all of the weeds around your home if you want a clean looking garden. You can use these 5 natural weed killers if you don’t like using chemicals. Edge your Garden Beds: This will instantly add curb appeal to your home. 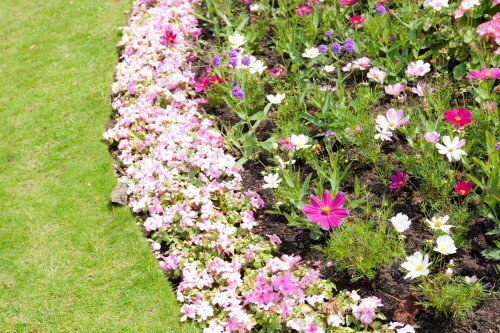 Just add some brick edging around your garden beds for a clean and elegant look. If you can’t afford real brick stones, you can use faux brick edging to get a similar look. Add Window Flower Boxes: This is a great way to update the exterior of your windows. They are actually not that difficult to make and install yourself. There are several Youtube videos that will walk you through the process. Paint Electrical Boxes: We all have those ugly electrical utility boxes on the sides of our homes. You can easily paint them the color of your house so that they aren’t such an eye sore and will blend in naturally. House Numbers: You can easily install some new house numbers for a more elegant or rustic look, depending on your tastes. 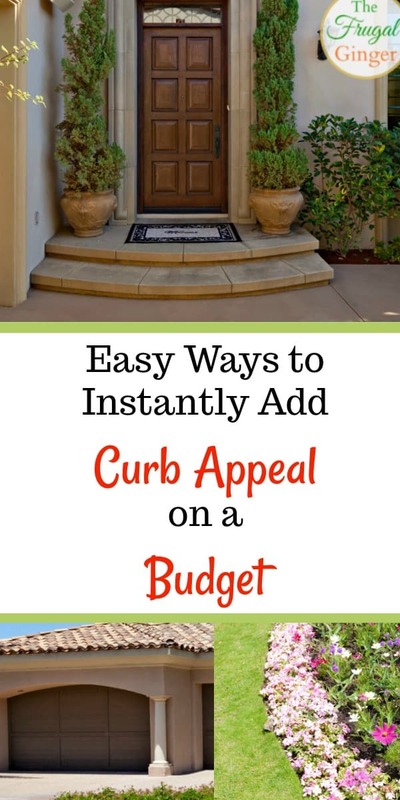 This is such an easy way to add curb appeal on a budget! Cover Air Conditioner: Another big eye sore are the HVAC units on the outside of your home. You can build a cute lattice fence to go around it to give it a nicer look. Stain the Garage Door: If you hate your plain white garage door, you can easily stain it for a much more elegant look. I love this step by step tutorial that shows you just how easy it is to do. Create a Carriage House Garage Door: Another way to update the plain white garage door is by adding some carriage house hardware. They are so easy to install and for less than $20, will give your garage door a classier look. Add New Outdoor Lights: One of the ways that I recently added some curb appeal on a budget, was by installing some new outdoor lights. They made such an impact and cost us less than $50 for the pair. These are just a few ideas on how you can get some nice curb appeal on a budget. Hopefully, this will help those of you who have moved into a fixer upper or are getting ready to put your house on the market. If you have any other ideas that you have done, let us know in the comments below. I would love to hear how you updated the look of your home for cheap!